The Internet, as an information resource, enables the library to provide information beyond the limits of its own collection. The World Wide Web is a vast network of such information and resources. The Powers Memorial Library assumes no responsibility for the content of material on the Internet. By assessing the Internet through the library, patrons assume responsibility and agree that the library will not be liable for any indirect, consequential, special or punitive damages or losses, which may arise in connection with such use. Before using the Internet, all patrons are required to read and sign the Internet Access Policy. As in the case with other library materials, it is the responsibility of a child’s parents or legal guardian to determine and monitor their children’s use of Library materials and resources, including the Internet. Therefore, the Library requires that the parent or legal guardian and the child, read, discuss and sign the Internet Access Policy. The Form must be signed in the presence of library staff for any child under the age of 18 to have access to the Internet in the library. This form will be kept on file and the minor’s registration information will be marked to note Internet access privileges. 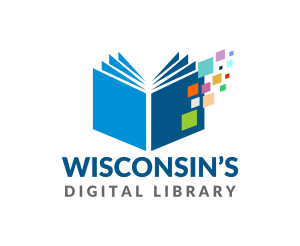 Library cards, or another form of identification, must be presented to the library staff when anyone wishes to use the Internet in the library. Cards will be kept at the desk until the patron is finished using the computer, when a staff member will return the card. Staff will assist patrons with Internet use as time permits, but cannot necessarily offer individual personal instruction. No one may enter chat rooms to explore or communicate. No one may use the Internet for illegal or unethical purposes. No one may misrepresent themselves as another user or attempt to modify or gain unauthorized access to files, passwords, computer systems, or data belonging to others. No one may damage or alter software components of any network or database or change the setup or configuration of the library’s software or hardware. Not sending, receiving, or displaying text or graphics that may be reasonably construed by Library staff as offensive to the public. No one may install their own software on the library’s computers. No one may use the library’s Internet connection for the purposes of solicitation, advertisement or commercial gain. No one may download to the library’s computers. Printing is allowed, and a per page printing charge will be assessed. Payment is made at the Circulation Desk. Patrons may reserve time on the Internet up to one week in advance. Access to the workstations is limited to ½ hour per day. To support access for all users, the library staff has the right to enforce the time limits. If no one is waiting, the user may receive an additional ½ hour. Walk in time may be available in unscheduled time slots. However, one computer must be left open at all times for card catalog usage. Use of computers in the children’s library for software exploration will also be held to the aforementioned time limits except weekdays between 3 and 6 p.m. when the limit is ½ hour per person.